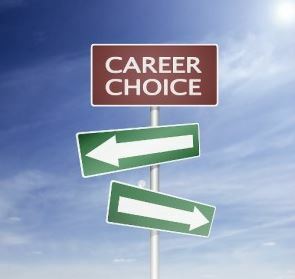 One of the first things to do when considering career options is to know where to start. Every journey begins with a single step after all. Here are six tips that might help you get to your destination. Detach yourself from all personal biases and opinions and think about what you really enjoy. Know your current options, decide on where you would like to go, and think about what you will need in order to get there. The self-assessment process can help you discover your weaknesses and strengths and give you a basic framework to work with. Maybe all the advice you hear in books, magazines, and the internet isn’t helping you. A career coach will be a great resource for personalized advice and a guarantee for the motivation to make progress. A degree can offer you greater job security and salary. A master’s degree can open up even more opportunities. For example, a master’s degree in music education can help you inspire students and implement changes in field of education. Master’s degrees can help put you in a position to be a respected leader and make changes for the better. Think of volunteer work as an experiment that will not only give you valuable experience in your chosen field, but will boost you ahead in the job market as well as clue you in on whether or not you have made the right choice in choosing your career. Working nonprofit demonstrates your passion and commitment as it trains you, and hiring managers will love to see it on your resume. It really does pay to meet the right people, to start building connections. Value every person you encounter because you never know who you might meet or who they may know. Volunteering can help with this in that it will open doors to contacts in the field you are interested in. For an even greater boost in the job market, learn a second language. This will help you in both your career itself and in your networking. By becoming bilingual, you will hold an advantage over a large percentage of the population. Now begin building your framework and writing your map. Know yourself, know where you are going, and understand what you can offer. The first step is always daunting, but once you’re start, don’t stop.